Anyone who has played rap music in front of their parents or grandparents knows that’s it is bound to elicit some confusion, anger, or even casual racism. 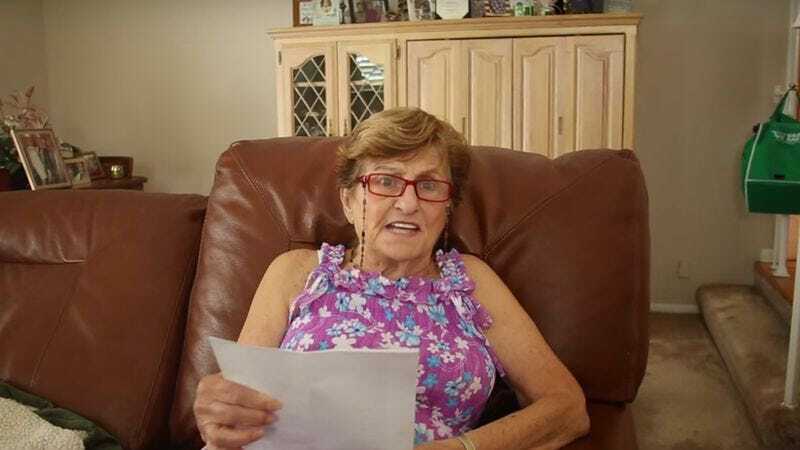 And a new video captures that generation gap in its purest form as a grandmother reads the lyrics to the Drake and Future collaborative track “Jumpman,” from their massive new mixtape What A Time To Be Alive. The video finds the elderly, opinionated lady getting worked up about about a number of the song’s more innocuous moments, like the term “Chi-town,” which she is convinced should have Chinese connections, and the term “Dopeman,” which she believes is pronounced “dopamine” and is the same drug her husband took after his heart attack. In the end, the woman gets frustrated that Drake isn’t Frank Sinatra or Tony Bennett, unable to comprehend that Drake just might be those icons’ equal for the young people of today.